Your Pet is in Good Hands: Are you ready for warmer weather? There is no doubt that we are heading for a HOT summer! With the surprisingly warm October weather and recent bushfires, our concerns for heat related illness have been sparked early this year. 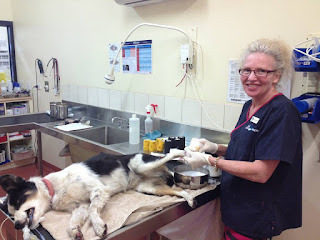 Heat stress in animals occurs when they are unable to maintain their normal body temperature on a hot day. 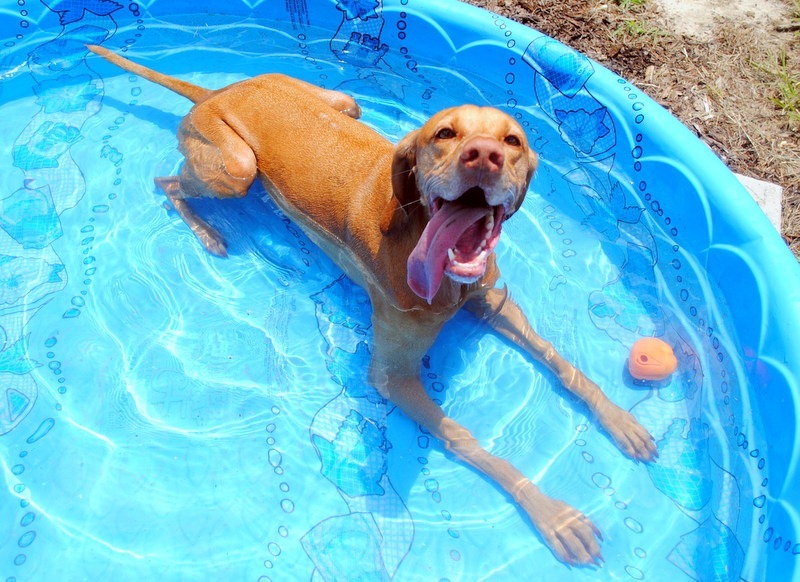 The signs of heat stress include: excessive panting, salivating, whining and agitation. In severe cases of heat stress, animals may stop panting and start to vomit. Heat stress is an emergency and you should contact your vet immediately if you suspect that your animal may be suffering from this illness. While all of our pets are susceptible to heat stress, smaller animals such as rabbits, guinea pigs and birds are at a higher risk and extra special care should be taken to help keep them cool on hot days. Brachycephalic ("squishy face") dogs and cats (e.g. Bulldogs, Pugs, Persian cats) are also at a higher risk. - Do not walk/exercise your dog during the hottest part of the day. It is safest to go for a walk early in the morning or late in the evening to avoid peak temperatures. - Bathe (dogs) or mist (cats, rabbits, birds) your pet with cool water several times throughout the day. If water stresses your animal it may be best to avoid bathing or misting as it could cause more harm then good. - NEVER leave your pets in a vehicle on a hot day- remember, dogs die in hot cars! On hot days, you should be very careful not to walk your dog on hot footpaths as they may burn their paws. My rule is that if the footpath is too hot for me to walk on in bare feet then it is also too hot for my dog’s feet! And finally, help wildlife survive the hot weather by keeping a bowl of clean water in your front yard (away from your pets) for them. Readily made items have been done for the individuals. The sufficient role of the best essay service is assured for the people. The softening of the term is done for the candidates.